Designed for an apartment with very little counter space! 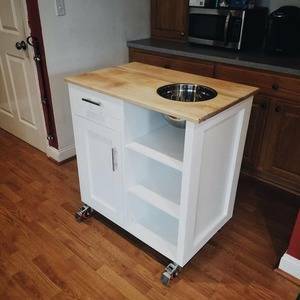 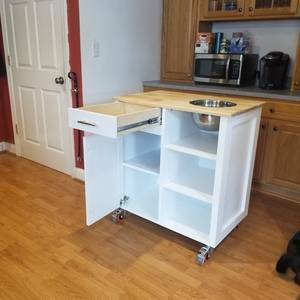 Very simple cabinet construction with a cutting board top. 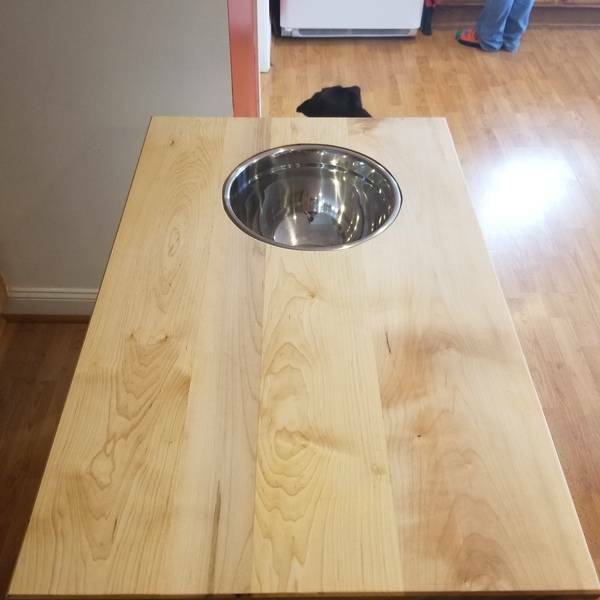 Fit with and insert bowl for food prep! 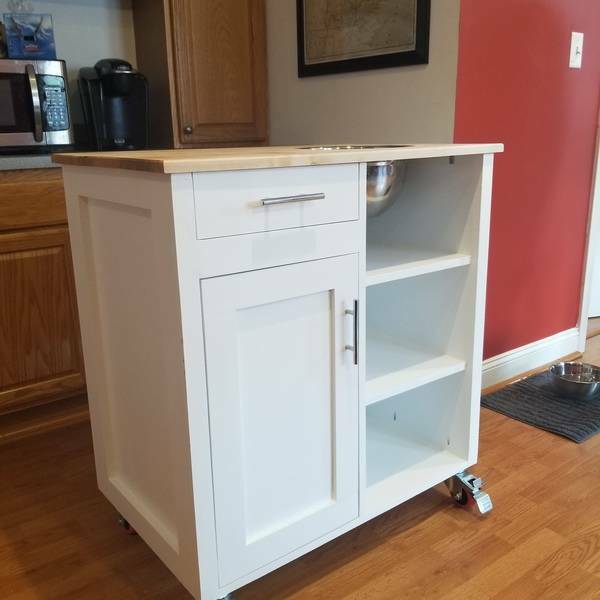 Completed entirely with my Ryobi drills, brad nailer, circular saw, and router!